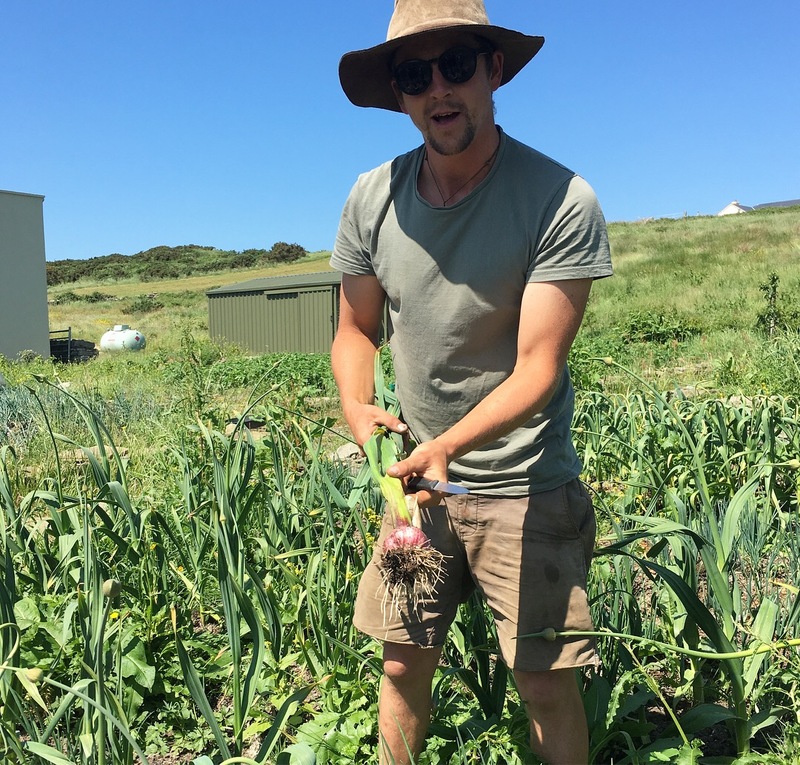 During your stay with us, at The Cliffs of Moher Retreat, you will have the opportunity to meet and be looked after, when it comes to all things food related, by our fabulous and talented Kitchen & Garden Team. Martha has lived and breathed soulful cooking for over 20 years. From the age of 8 (for 1 pound a night!) she worked under her mother in Barrtra Seafood Restaurant (est. 1988) where she quickly learnt the love of simple, passionate cooking! She developed her art over the years drawing on local wild edible gifts like dillisk, gorse flowers, sorrel, blackberries and nettles. Her favourite food combination is dillisk and tahini. Her creative self was nourished by her parents who cherish poetry, art and music and she has a degree in film and media studies. She loves to put pen to paper, dance and take out her banjo and sing when she’s not cooking! She cannot turn to anything without putting her heart and soul into it and this is why she so often sings as she cooks ! 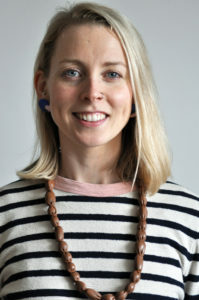 Steph is from Rituals of Plate, which focuses on the sensuality, spirituality and simplicity of cooking and eating. 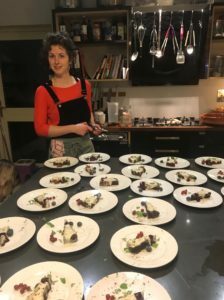 Steph is a talented teacher with an ability to make cooking an approachable and enjoyable experience. Her expertise lies in the union of design + food + meditation; transforming everyday food activities into mindful rituals so that we can interact with food in a more meaningful, creative and embodied way. Steph’s intention is to inspire and empower people to become more conscious, competent and creative so they can make lasting healthy changes to their lifestyle. Mitch is at his happiest out in nature working the land and getting his hands dirty. 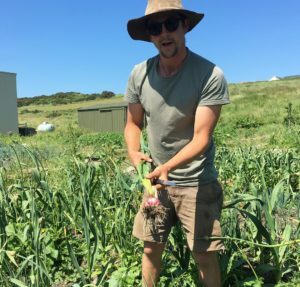 As our Head Gardner, he is responsible for overseeing the all aspects of our garden, from the vegetable beds to the dome, making sure we have an abundance of fruit and veg for our chefs’ to use in the kitchen. Mitch is actively involved in The Moy CSA Farm.